Home » Can a Home Warranty Cover an Old HVAC Unit? Can a Home Warranty Cover an Old HVAC Unit? When looking to prevent a home appliance breakdown, the age of your appliances and systems comes into question. 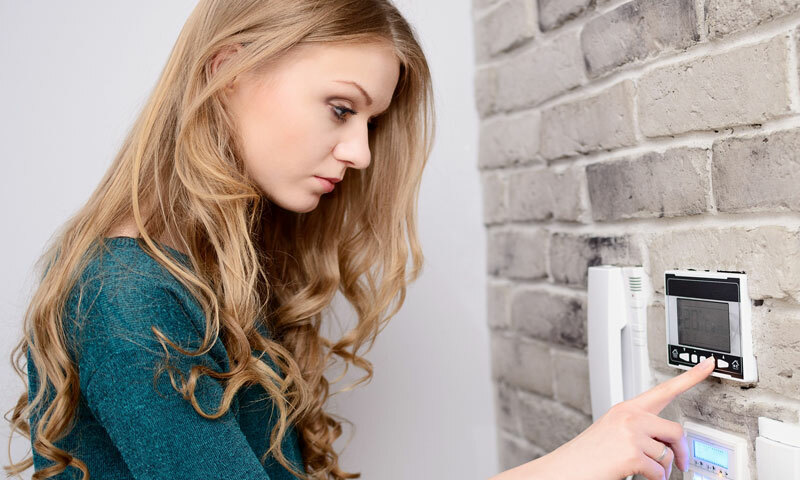 You might be wondering if their age effects the terms of your home warranty coverage, and hesitant to purchase a new home warranty if you find your current appliances or home systems aren’t covered. Old Appliances & Systems: Are They Covered by Home Warranties? When asking if your old HVAC unit will be covered under a home warranty, the answer is yes. Select Home Warranty covers all appliances and systems detailed in the terms of your coverage plan. That means you don’t have to worry about the age of your appliances to have them repaired or replaced according to your contract. When signing up for a home warranty plan, select all the areas of your home requiring uptime. You can choose your standard appliances including the clothes washer and dryer, stove, cooktop, dishwasher, built-in microwave oven and garbage disposal. When choosing standard systems, you can include your heating system, water heater, plumbing system, ductwork, HVAC or other cooling unit and your electrical system. There’s also additional coverage you can piecemeal select including your pool or spa, roof, sprinkler system, well, freezer and more. The cost of a monthly home warranty payment is worth it when compared to how expensive these important home items become with a sudden need to repair or replace. There are a few details you shouldn’t overlook and come with any home warranty contract. Coverage requires 30 days to begin. When you sign up for home warranty protection with Select Home Warranty, there is a grace period of 30 days after we receive payment before your coverage begins. Keep track of previous repairs. When a problem occurs with your home appliances and systems, whether it is your refrigerator, HVAC unit, sprinkler system or pool, have any documents relating to previous repairs ready. Select Home Warranty will request these records for the history of the asset to provide coverage for repairs or replacements. If you’re interested in comparing home warranties, sign up for a no-commitment FREE quote today. Select Home Warranty is here to shield your home and your wallet. Previous Previous post: Which Home Warranty is the Best? Next Next post: Septic System Home Warranty: Do Septic Tanks Have Warranties?